Credit Recovery Tips – How to Stop Spending! Struggling with lots of debt is not a death sentence. The road to credit recovery can be a lot less steep when you have the right tools working for you. The biggest stumbling block when it comes to credit recovery, though, is getting rid of your bad spending habits. In order to recover from debt, you have to round up as much money as you possibly can every single month and put it towards your debt. Unnecessary spending only gets in the way of this process. It takes a ton of discipline and loads of self-control to be able to overcome excess spending. It can be a seriously difficult thing to do, but the long-term rewards of tossing your poor spending habits are more valuable than anything money can buy. Planting a goal post down the road gives you something to work towards. As you see your spending slow and your savings increase, you’re going to collect momentum - go with it and you’ll reach your goals in no time. It’s best to have some form of visual representation of what your goals are; something to remind you every day what the long term plan is. You can set reminders on your phone, or maybe use IFTTT.com to send yourself motivational emails or text messages every day. Perhaps you want to draw one of those little cartoon-ish thermometer charts and fill it in as you progress towards your goal. Whatever you choose, though, find a way to look at your goals every day if you can - it’s much easier to refrain from that $5 latte and opt for the office coffee when you’ve just been reminded why. The best way to get started with this is to try to understand your money as best you can. Get a real concrete grasp on where your money is coming from and where it ends up being spent. Doing this will give you the big picture; the net losses and gains. It could horrify you to see just how much money you bring in, and how little you have to show for it at the end of the month. Using this information, identify where you can cut down on your spending the most and set hard limits for spending in all your categories. Remember to be reasonable as well. You want to set yourself up for success, not a failure. 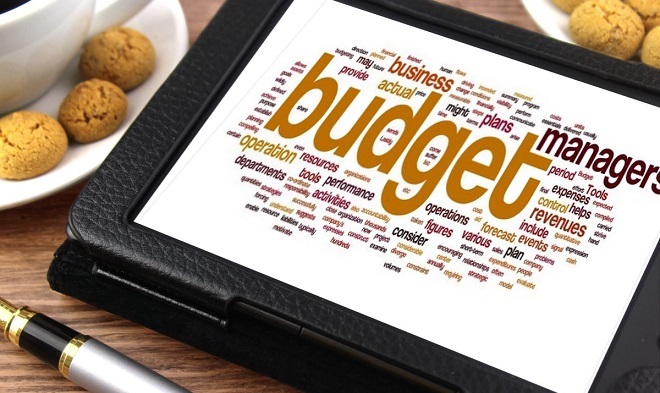 The hardest part: Stick to your budget. Revisit your budget and clarify what new areas you can spend less in and what other categories you can cut down on. Check to see how well you did the previous month and adjust your limits as you learn more about what you can live without. Of course, this sounds obvious, but what I mean here is, give yourself actual time between the urge to buy something and actually pulling the trigger. Especially if the item you’re looking to purchase is expensive and will cut into what you’re paying towards your debts. Impulse buys are usually an in-the-moment thing, hence “impulse” and if you force yourself to walk away and think about it first, the chances are pretty high the urge to buy is going to subside. You’ll quickly realize that you just dodged a bullet. Use this method even for the smallest impulse buys. Walk away from it, mull it over for 20 minutes. Chances are, you’ll forget all about it and go on with your day. Here’s the Dime Turner guide to saving on grocery costs each month. Make use of these pointers and save on one of your biggest expenses. Don’t go to stores and malls just for the sake of browsing. Only visit the shops when you need something. This will help you avoid some of those excessive purchases. It can be difficult but try to create a divide between “must-haves” and “would like to haves”. They are just ploys to part you with your money. Avoid ads wherever you find them. Install an ad blocker on your browser, and don’t watch live television. Again, this requires self-discipline but the payoff is huge. The less credit you use, the more you save in interest, so leave those credit cards at home when you go shopping! Borrow things when you can. If your lawn mower breaks, don’t go buy a fancy new one. Ask your neighbour to borrow theirs, instead. If you’ve run out of ink in your printer and you need to print something, do it at work or take it to a neighbour’s house. There are so many ways to avoid paying for more expensive items when we don’t absolutely need them. Break down what you make at work by the hour and look at how many hours of work that new pair of jeans you just bought cost. Take a look at the interest you’re being charged, too. Maybe you bought a new pair of shoes on sale for $59.99 with your credit card and you don’t pay it off right away. The first month you’re charged interest alone is going to bring the cost of those shoes that were on sale up to around $70. Look at the actual cost of what you are purchasing and get a nice big slice of reality you can’t ignore. While you’re working on getting your spending under control, you might consider a credit recovery program like the credit building program from Refresh Financial. One of the benefits of the program is that approval is easy, and you don't have to provide any security funds up front. The program's principal is used as the security and is released once you’ve paid it down. Once you've completed the program, you get a chunk of cash, and a boosted credit score! The best part is that your regular payments to this loan are reported to the credit bureaus just like a loan and as long as you keep all your other debts in order, your credit score is going to grow rapidly. It’s the least risky, fastest way to get yourself out of debt and into a better credit score. For more information on Refresh Financial’s credit building program, click here. Can you think of other ways to curb excessive spending? Let us know in the comments!